There are a lot of factors that go into determining the speed at which the aircraft will fly during a mission. Map Pilot takes all of these factors into account when determining the actual Max Speed that the flight will be programmed with. The maximum speed for waypoint flight with DJI aircraft is 15 m/s (about 33 mph). All of the things listed below will REDUCE the speed from there. A lot of these things are super hard to keep track of manually and Map Pilot attempts to help the user keep it all straight. You can always see the current maximum flight speed the Flight Plan statistics pullout labelled as Max Speed. This is the value that will actually be used. The maximum speed setting in the Options Pulldown menu is the maximum speed the user wants the aircraft to fly. This would be used in the case where the user would want to make sure they fly no faster than some certain value for regulatory or safety purposes. This is NOT the actual speed the aircraft will fly. It might be, but this is just one of many inputs. The lower the aircraft flies, the closer the image spacing will be. When the image locations start to get close together, the speed may start to be limited by how fast the camera is capable of taking and storing the pictures. The more along track overlap there is, the closer the image spacing will be. When the image locations start to get close together, the speed may start to be limited by how fast the camera is capable of taking and storing the pictures. The camera is only capable of taking and storing images at a certain rate. Some of this limitation is due to the speed rating of the SD card being used. Faster cards allow for faster file writing and faster imaging. This value ranges from 1 image per 2 seconds to 1 image per 3 seconds using most of the DJI cameras. Finally, after all of these other values are taken into account, a nominal flight speed will be programmed into the aircraft. But once the flight has started and the light-conditions are too dim for full speed operation the aircraft may be slowed down according depending on the Light-Based Speed Adjustment setting. Once all of these factors are taken into account, the data being taken during the flight should honor both the desires of the user and the limitations of the aircraft. When a flight is saved for offline operation, the nominal maximum speed value is saved with it. Are there any parameters to reduce motion blur with regard to drone speed? Yes! You can turn down your exposure time. Motion Blur is the amount of distance that is covered over the camera's exposure time. Is there a way to 'squeeze' the mission, rather than have the boundary run around just the outermost points? I.e If I have a rectangular flight area with a boundary marker in the centre, that marker inside the rectangle it is ignored. Ryan, You are suggesting to "turn down exposure time". You are saying this is done through the Map Pilot app? or set on the drone prior to flight? I have version 3.1.4 Map Pilot and don't see any settings to change exposure - particularly during flight. All of the sudden, after numerous good flights, all my flights with two different drones are showing red motion blur all of the time.  Not sure what settings to change - either on the drone or with the app?  We recommend allowing Map Pilot to adjust the flight speed automatically to accommodate the amount of light that is available. This setting is called "Slow Aircraft According to Light Conditions" and is enabled by default. You can adjust the exposure time but it will still need to vary to capture dynamic scenes over a large area. When using the Manual exposure setting you can adjust the exposure time during flight. We always recommend collecting your data at the brightest time of the day with the exception of 1 hour before or after solar noon to avoid travelling sunspots in your image sets.